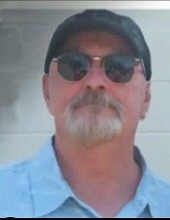 Rick Hunter, 63, resident of Vacaville for 30 years, passed away April 2, 2019, with his loving family by his side. He was born October 8, 1955 in San Francisco, CA to parents, Theodore and Virginia Hunter. Rick graduated from South City High in 1973. Shortly after graduation, he joined the United States Navy, whereby learning skills in refrigeration repair. Upon Discharge from the Navy, Rick joined local 467 plumbers, refrigeration, and steamfitter’s union. Rick was a dedicated HVAC journeyman for over 35 years. After retiring, Rick enjoyed shopping at Sprouts Market, driving and taking care of his stingray corvette and playing with his chocolate labs, “Dutch” and “Kona”. Rick loved going on trips with his wife Debbie and spoiling his grandchildren. He was an excellent gardener and loved his Harley. He is survived by his loving wife of 41 years, Deborah Hunter. Rick was a devoted father to three adoring children, Jason, Amber and Dennis Hunter. Rick will be profoundly missed by his sisters and grandchildren, as well as numerous family and friends. To send flowers or a remembrance gift to the family of Richard "Rick" Charles Hunter, please visit our Tribute Store. Guaranteed delivery before Richard's service begins. "Email Address" would like to share the life celebration of Richard "Rick" Charles Hunter. Click on the "link" to go to share a favorite memory or leave a condolence message for the family.